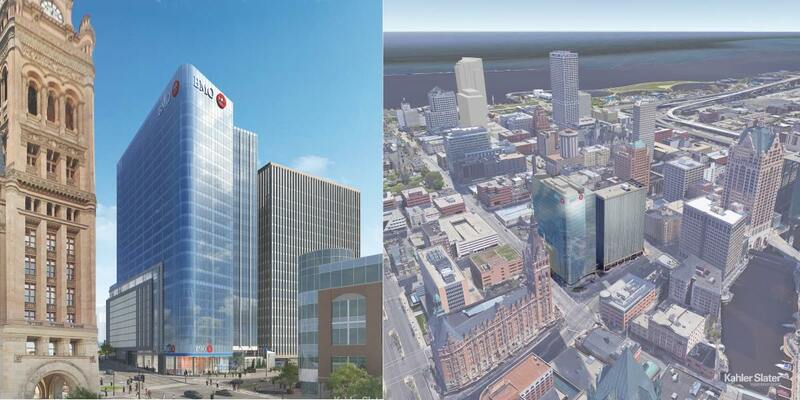 Work on a glassy new, 25-story, 360,000-square-foot high rise is about to get underway in Downtown. Crews from J.H. 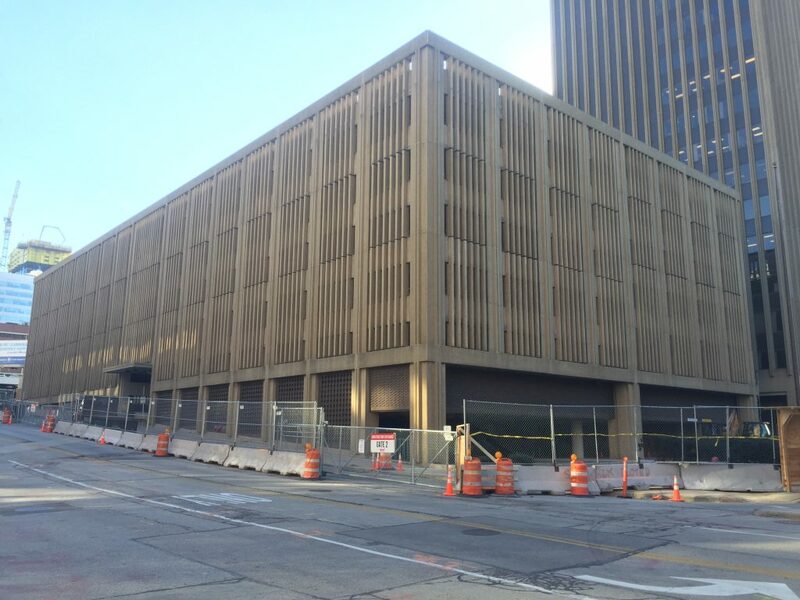 Findorff & Son Inc. and Viet & Co. are securing the BMO Harris Bank parking garage at N. Water St. and E. Wells St. in anticipation of demolishing the garage and erecting the new tower in its place. 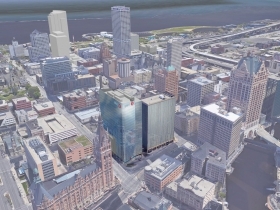 Irgens Partners will develop the new tower, to be known as BMO Harris Financial Center at Market Square, and lease it to BMO Harris Bank and other tenants, including Michael Best & Friedrich, on the site of the existing parking garage. A raze permit for the garage was issued on October 3rd. City records indicate that Viet paid $5,080 for the permit and estimated the cost of the demolition at $80,000. 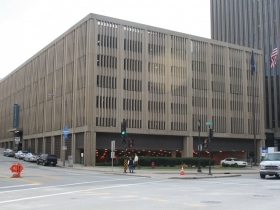 The concrete garage is listed in city records as having 417 spaces. 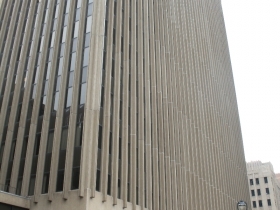 City records indicate the garage was built in 1967 in conjunction with the 20-story M&I Bank. 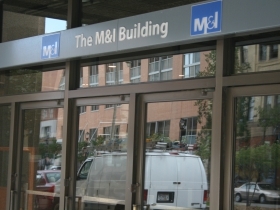 Long the biggest Wisconsin bank, M&I was acquired by Chicago-based BMO Harris in 2011. BMO Harris Bank Parking Garage. Photo by Jeramey Jannene. The privately-financed high-rise project was first announced in December 2016. 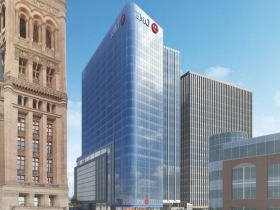 BMO Harris will lease 123,000 square-feet in the new building, including first-floor space for a flagship retail bank. The “Market Square” part of the new building’s name is a throwback, a historic reference to the formerly three-way intersection of E. Wells St., N. Market St. and N. Water St., when it was a hub of commerce in the city. A formal groundbreaking ceremony is planned for next Thursday. Irgens was selected for the project after beating out “five to six other developers”, according to the firm’s CEO Mark Irgens. Irgens noted that he first learned of the project this past spring, and his firm was able to assemble a bid with a lot of appealing aspects to BMO. 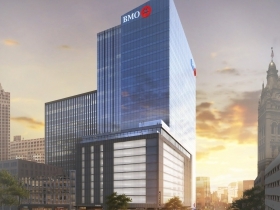 One, the new tower will be built on the site of BMO’s current parking garage, eliminating the need for any land acquisition and keeping BMO in “the civic and cultural heart of the city” as Irgens put it. 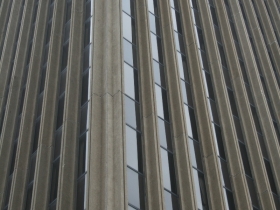 Two, his company will purchase and renovate BMO’s current building at 770 N. Water St., eliminating the need for BMO to play real estate developer with their old building. A new parking structure will be constructed atop the surface parking lot at 769 N. Broadway. 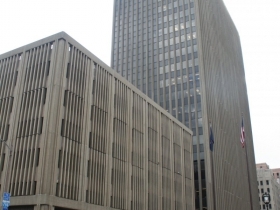 That 14,400 square-foot lot, owned by BMO Harris, is currently assessed at $907,000. Utility work on N. Water St. and E. Wells St. has been ongoing for months in preparation for the tower. The new tower is planned to top 335 feet, roughly 50 feet taller than its current building. When finished it would be the 12th tallest building in the city. Efficiency improvements in parking garage design will allow the new 590-stall garage to occupy a smaller footprint than the current garage. 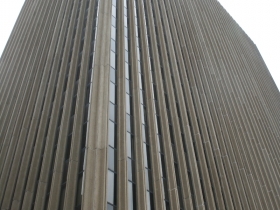 The tower is being designed by Milwaukee-firm Kahler Slater. The new tower will feature a number of amenities, including a shared, multi-media conference center, common tenant lounge and terrace on the 11th floor and tenant fitness center. The standard floor plate in the building is 25,000 square-feet, with nine-foot, six-inch ceilings. Floor-to-ceiling windows and column-free corners are included on every floor. More details on the project can be found in our coverage of the project’s announcement.